Introductory 3 Day Workshop with Ruella Frank, Ph.D. Ongoing nonverbal interactions with our primary caregivers during the first year of life set a relational foundation that is apparent both in the everyday life of the adult and in psychotherapy. Even though our adult postural attitudes, gestures, gait and breathing patterns have changed over time, the foundations established in our first year remain readily observable and available. Attending to these patterns within psychotherapy is especially powerful. 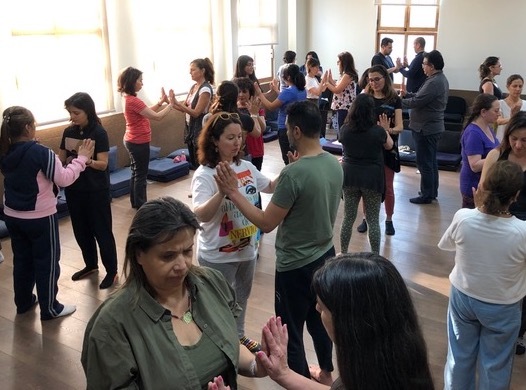 During this workshop, participants learn how their relational styles originated through affective-movement patterns within the infant-caregiver dyad. 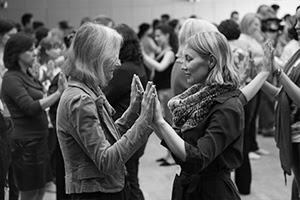 Through movement, participants will explore these intrinsic yet unaware primary patterns which are part of present experiences and influence daily life. We then apply this understanding to the here-and-now of the client/therapist dyad. 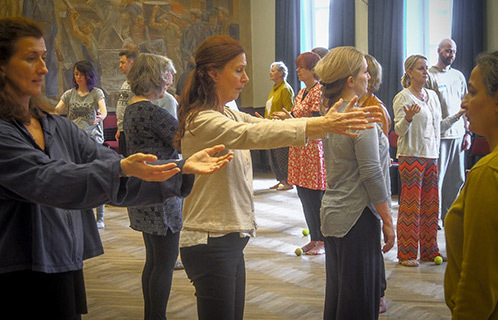 This workshop is open to psychologists, social workers, psychotherapists, psychiatrists, infant educators as well as movement therapists-educators who wish to better understand the relationship between psychological experience and physical expression. This entry was posted in Uncategorized, Workshops on April 9, 2019 by Fabian Kaupert. Wednesday – Friday, 9:30 am – 4:30 p.m.
During this three day workshop, we will explore the roots of ‘traumatic attaching’ – a bi-directional approach – from its inception in the infant-caregiver dyad to its expression in the adult patient-therapist relationship. Through mini-lectures, experiments, experiential demonstration and discussion, we will learn how to identify patterns of ‘traumatic attaching’ as they emerge within the unfolding therapy session and how to work through them. The aim of this workshop is to continue building an innovative somatic and developmental approach to Gestalt Therapy theory, while remaining faithful to the foundation principles. The workshop is open to all. This entry was posted in Uncategorized, Workshops on June 8, 2018 by Fabian Kaupert. They are one mile apart. 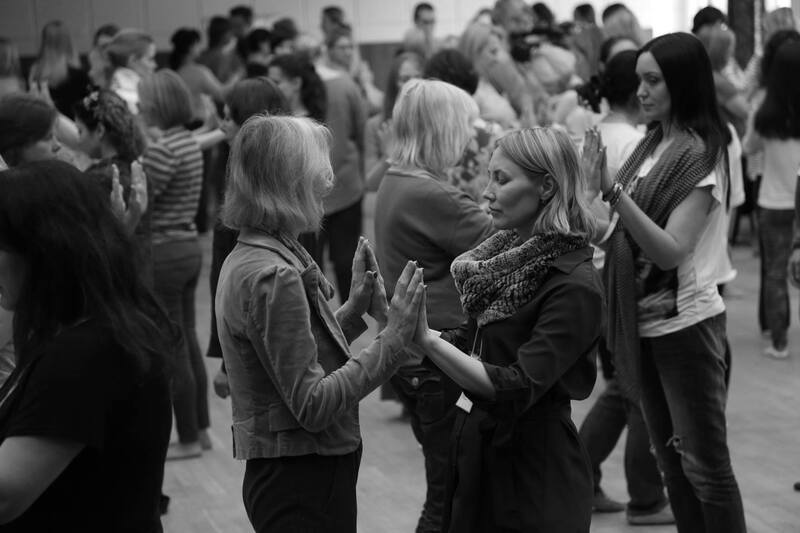 Friday – Sunday, 9:30 am – 4:30 p.m.
Or visit Edinburgh Gestalt Institute: http://egi.uk.com. In this three-day workshop, we explore the progressions of a developing subjectivity from kinetic-kinesthetic processes during fetal life, where the organism is in a state of “oneness” with its environment, to the newborn child who begins the gradual process of differentiating “me” from “not me” in the first year. Special emphasis will be given to the functional similarity of this vital experiential shift in relation to the subtle yet profound existential experiences emerging within adult therapy. Attention also will be given to kinetic-kinesthetic processes arising in therapy, which clarify the experience of subjectivity for both the patient and therapist. The workshop presents my latest thinking in terms of a more complete understanding of the developmental progressions – how we come to be and maintain who we are in relation – from a Gestalt theoretical perspective and a Developmental Somatic Psychotherapy approach. This entry was posted in Uncategorized, Workshops on March 20, 2018 by Fabian Kaupert. Recording of the Webinar Now Available for Purchase. You will receive the link to the webinar upon payment and registration. This 75 minute interactive WEBINAR will explore the progressions of a developing subjectivity from kinetic-kinesthetic processes during fetal life, where the organism is in a state of “oneness” with its environment, to the newborn child, who begins the gradual process of differentiating “me” from “not me” in the first year. Special emphasis will be given to the functional similarity of this vital experiential shift in relation to the subtle yet profound existential experiences emerging within adult therapy. Attention also will be given to the kinetic-kinesthetic processes in session, which clarify the experience of subjectivity for both the patient and therapist. This WEBINAR presents my latest thinking in terms of a more complete understanding of the processes of development – how we come to be and maintain who we are in relation – from a Gestalt theoretical perspective and our Developmental Somatic Psychotherapy approach. During the seminar, participants will be able to send written questions that all of us will see. I will respond to as many questions and comments as possible, allowing time for dialogue among us. I hope you will be as interested as I am in this new form of our coming together. It is an experiment and we will see how it emerges! This entry was posted in Uncategorized, Workshops on December 29, 2017 by Fabian Kaupert. 9:30 a.m. – 5:00 p.m.
Thursday the 26th will be free. If cancellation happens before 2018 May 20, 100 € will be kept for administrative charges. 50% of your registration fees after this date. You may also prefer another kind of accommodation (other hotels, B&B, etc.)! Dinners not included. Let’s enjoy dinners or tapas in the city! 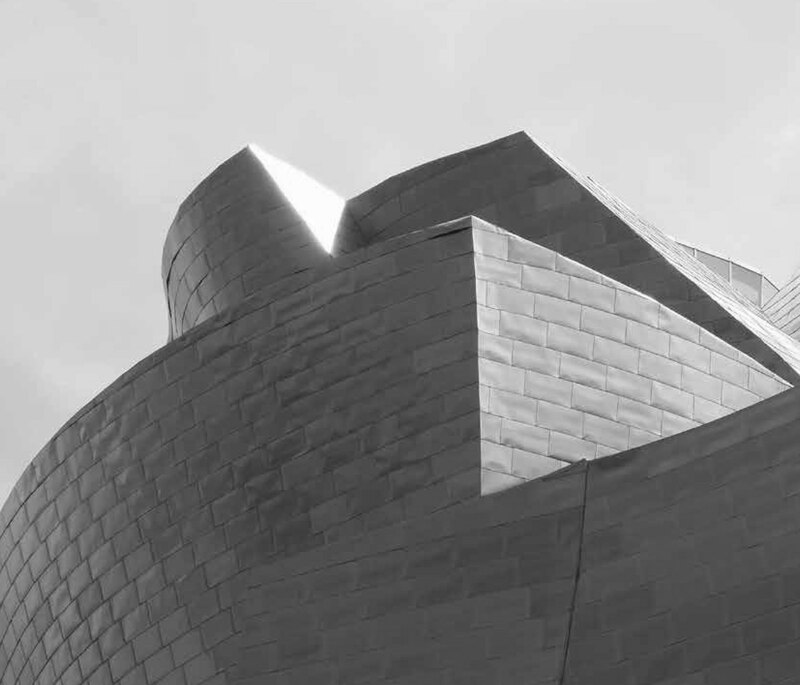 The emphasis is on expanding possibilities and exploring new horizons in our work. Foundational concepts of Gestalt therapy, such as contacting, contact-boundary, theory of self, etc., will be scrutinized and given new shape. Some of our concerns to be taken up: The phenomenology of movement in early development and therapy; anxiety, depression, and trauma from a temporal point of view; the central place of form in the aesthetics of health and pathology; reflexivity–the moving I and the feeling Me–in the theory of self. Each half-day, one of the presenters will open the topic and the other two join in to contribute to a further illumination of the theme, and arrive at an integration of our various perspectives. There also will be ample time for experiments, small group discussion, and therapy demonstrations to ground this new material in participants’ experience. The workshop is open to experienced practitioners, supervisors, and trainers in gestalt therapy. Number of participants limited to 75. This seminar will be in English and will be translated into Spanish. This entry was posted in Uncategorized, Workshops on June 15, 2017 by Fabian Kaupert. Saturday and Sunday, 9:30 am – 4:30 p.m. In this 2-day workshop, Dr Ruella Frank will explore the intricate relational moves of embodied intersubjectivity that form a basis of communication, initially between parent and baby but then throughout life. The movement repertoire that develops in the first year of life is a language that conveys our most pressing desires, intentions and emotions. These expressive movements, acquired in the company of significant others, go on to become the tacit core of adult behaviour in everyday experience and, of course, in the psychotherapy relationship too. It is on the details of this somatic expression of affect and relational intent that we will focus during the workshop, developing our understanding of the meaning and emotional significance of these somatic communications and skills in applying those insights to the therapy work. This entry was posted in Uncategorized, Workshops on April 20, 2017 by Fabian Kaupert. The movement repertoire that develops in the first year of life is a language in itself that conveys desires, intentions and emotions. This early life in motion serves as the root of ongoing nonverbal interaction and later verbal expression. These expressive movements acquired in the company of significant others, become the tacit core of adult behavior in everyday experience. Ruella Frank will explore the intricate relational moves of embodied intersubjectivity between parent and baby and it’s functional similarity to experiences unfolding within the patient-therapist relationship — with children, couples and individual adults. 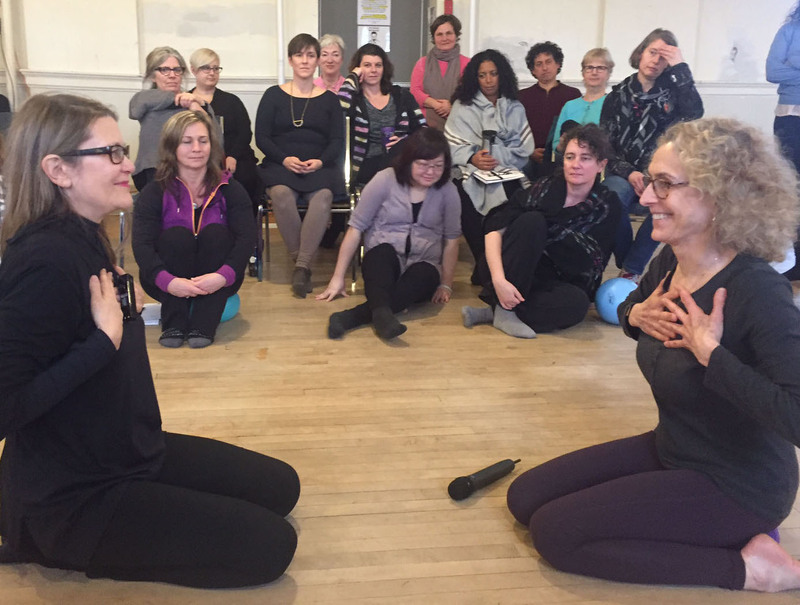 Put into practice, her work can expand and reorient the practitioner’s perception of human movement, enabling patient and psychotherapist together to make surprising discoveries about their interactions. The workshop is open to psychologists, social workers, psychotherapists, psychiatrists, infant educators, as well as movement therapists/educators who wish to better understand the relationship between psychological experience and physical expression. This entry was posted in Uncategorized, Workshops on January 9, 2017 by Fabian Kaupert. Saturday and Sunday 9:30 a.m. – 4:30 p.m. According to the traditional perspective on the development of trauma in the first years of a baby’s life, the parent initiates what is thought to become a habitual traumatic reaction in the child. Consequently, the baby reacts to the parent in ways that are rigid and repetitive. This understanding of developmental trauma, however, does not take into consideration the relational dynamics that are part and parcel of any organizing experience. Observing baby and parent interactions from a relational and contextual perspective and through micro-movements, it can be seen how the baby’s behaviors can powerfully impact their parents and can generate the threat of re-traumatizing for them. This two day workshop will center on the interaction patterns of both baby and parent that over time create traumatic attaching and the passage of intergenerational trauma. 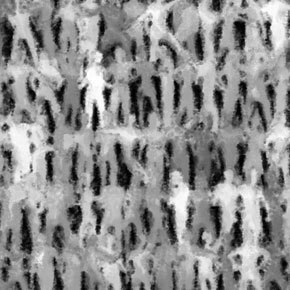 We will also explore how these early patterns influence the unfolding patient and psychotherapist relationship in the here-and-now. This entry was posted in Uncategorized, Workshops on November 7, 2016 by Fabian Kaupert. Sign up for notifications to receive information about future workshops in New York and elsewhere. You can find the email sign-up in the upper right-hand corner of this page. This entry was posted in Uncategorized, Workshops on October 13, 2016 by Fabian Kaupert. Pushing: The experience of separating from and including the other. This entry was posted in Uncategorized, Workshops on May 7, 2016 by Fabian Kaupert. We dislike spam as much as you and promise to carefully guard your privacy and not share this information. © 2007-2019 Ruella Frank. All rights reserved.